A selection of bespoke jewellery creations chosen by Nicholas to showcase his talent for design and innovation. CAN’T FIND YOUR PERFECT ENGAGEMENT RING? Past One-off Creations presented here for your inspiration! Receive all the very latest news and views from the world of jewellery including Wylde events and offers every month. Read our client tales of romance, anniversary delights and their own ‘Wylde’ experiences. FEEDBACK WELCOME Your feedback is very important to us. An introduction to Nicholas’ brand new concept. Jewellery lovers and those passionate about art and sculpture will enjoy the combination of precious metals and stunning gemstones which are used in this art form. Nicholas enjoys designing and creating wonderful pieces of jewellery whilst consistently trying to be creative in bringing about new styles, he has always had a vision of bringing together precious materials and gems without the constraints of conventional designs usually associated with jewellery making. 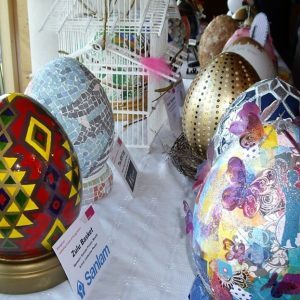 He wanted clients to be able to enjoy a personal art form which could be displayed on a wall at home or a company business and perhaps complimenting other stunning works of art. Nicholas commented: “Many items of beautiful jewellery such as earrings and pendants cannot be seen by the wearer only by an admirer. 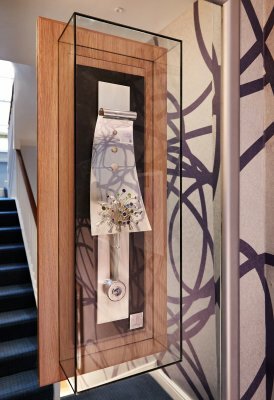 A piece of art is perfect for one who not only appreciates stunning jewellery but also collects and maybe invests in sculpture and art.” Nicholas can design a piece that means such a lot personally or to one’s business. Immersed with his vivid imagination and understanding of precious and exquisite materials, Nicholas set about creating his first piece of three dimensional art elaborating on distinct design ideas and inspirations. 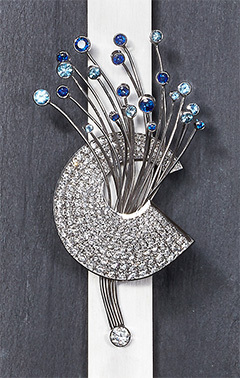 Wylde Art was brought to life in 2013, with a display of diamonds, sapphires and aquamarines beautifully set in 18ct white gold depicting the peacock and their colourful array of natural beauty. These works of art enable Nicholas to be totally fluid and impulsive without the restrictions that are accustomed to making jewellery that is wearable. Each piece is mounted on a wooden frame and surrounded by toughened glass so its beauty is captured in full. Perfect for hanging on a wall, every Wylde Art piece is unique and numbered and can embrace personal favourites into the design. All can be captivated in a beautiful piece of art which exudes interest and holds a special story. 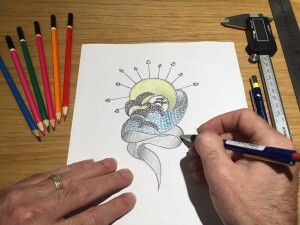 With every piece of Wylde art commissioned, a client can enjoy the added benefit of having a piece of jewellery commissioned that reflects and incorporates elements of their personal art piece, creating a unique item to adorn their wall. Wylde Art for the true lover of fine things.